Questions to Ask When Hiring a Pest Control Service | Pied Piper Pest Control Inc.
Finding reputable service providers for your home may seem like a daunting task with so many options available. Rushing into a hiring decision can be a costly mistake and harmful to your health. But, with a little research and asking the right questions, it is easy to find a trustworthy company that will meet your needs. Here are some questions to ask during your quest for a reputable pest control company. Can you provide me with any testimonials or references that I can review? Make sure to find out exactly what is covered by a guarantee and read the fine print! Will you provide me with written documentation throughout? The answer should always be yes! How much training do your exterminators receive? Can you explain the problem and what treatment options I have? 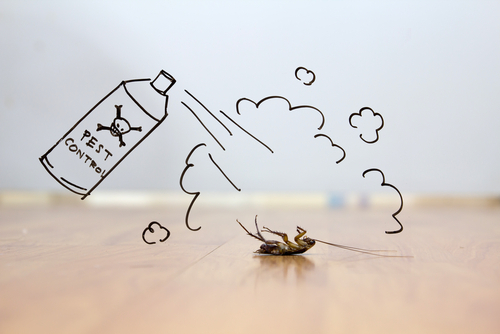 Are your pest control treatments safe for me and my family (including my pets)? What measures will be taken to avoid accidents? Ask what they will do and if you need to do anything, such as move furniture, turn off the electricity, etc. – We will treat your property as if it were our own. We carry over and above the mandatory insurance requirements to ensure that we have our clients’ best interest at heart. We are licensed, insured and bonded. We have over 25 years of experience in the New Orleans pest control market. Jeff and Lauren Addison, the owners of Pied Piper Pest Control, Inc., have taken it upon themselves to establish a consumer-friendly, very responsive pest control company. Call us at 504-366-1333, contact us online, or connect with us on social media to find a solution to your pest problem!